Lip enhancements, also known as lip injections, are available at Canyon Laser Skin Care for patients looking for full, plump lips. Why might I consider lip injections? Having full, plump lips is often considered a sign of good health, beauty and youth. Whether you were born with thin lips or your lips are thinning due to the natural aging process, there are many ways to enhance them. Lip injections using hyaluronic acid can keep your lips plump for months at a time. Every year, thousands of people undergo successful lip enhancement and are pleased with the results. Lip injections are also sometimes referred to as mini lip fill or lip augmentation. When should I consider lip enhancement treatment? Having fuller lips will help balance out your face At Canyon Laser Skin Care, we know that an overfilled, overcorrected lip never looks good. Our goal in lip enhancement is to give subtle, enhanced body to your lips, adding to the natural shape and size of your face. The characteristic and shape of the lips are augmented using filler injection techniques that provide a natural balanced look. Our expertise in lip augmentation makes us among the top lip injection experts in the North Vancouver area. We will work with you to establish a plan, ensuring that each step taken has an exact purpose to enhance the natural beauty of your face. 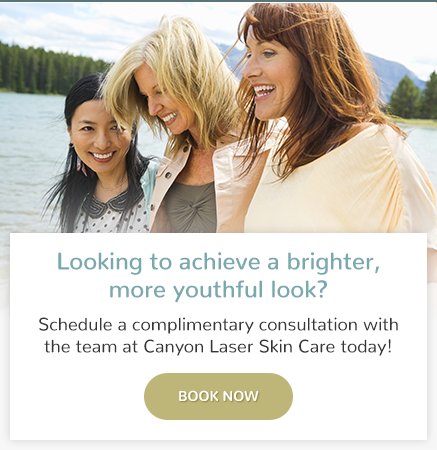 In the world of lip enhancement, Canyon Laser Skin Care sets the standard.